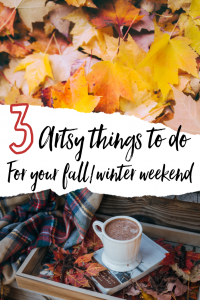 Here are 3 artsy things to do for your fall/winter weekend tested and approved by yours truly. So light that fire in your chimney, get your blanket, a nice hot drink and get artsy ! An amazing art documentary about the National Gallery (love) the amazing museum located in London. Get ready to embark on a 3 hours-long journey to dive deep in the behind-the-scenes organization of the museum. You will feel like a fly on the wall since there are no commentaries. You will take part in some decisions, exhibition mounting and developing of the historical institution. If you work in the art world you will smile at the common events and experiences you’ve encountered before. If you don’t work in the art world you will discover some true work situation we go through everyday doing the job. 3 hour is too long for you? Then onto the next one! National Gallery, Frederick Wiseman, 2014. Not into documentaries? Then turn to movies and discover this epic film. Follow the central character a curator and museum director on his everyday life. One morning something happens and disturbs everything. His phone gets stolen, he embarks on a vengeful journey against the robber. While also dealing with the organization of a major politically engaged exhibition at the museum and his troubled personal life. It is beautiful, with amazing actors and filled with emotion. You will laugh, cry, be annoyed, be scared and go through so many contradictory emotions towards the main character. And again if you work in the art world you will smile, especially if it is the contemporary art field. Bonus video: below the trailer I added a very funny passage from the film, enjoy. Also the movie won the Palmes d’Or at the Cannes Film Festival in 2017. The Square, Ruben Östlund, 2017. Don’t have time to sit down? Utilize your time in transport or while doing a bit of home cleaning (come on you need to do some I know it). Get your earbuds on and listen to this awesome new podcast. 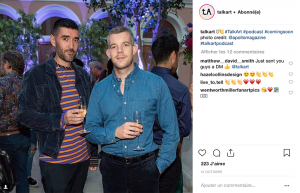 Hosted by Robert Diament, gallerist and Russel Tovey, actor and collector. Their discussions will give you some mindful insights about the art world. Imagine having a talk with friends about the art world, their passion, they are enthusiastic and they share their experience. Also it is a new podcast it launched in October so it will definitely be interesting to watch their project grow and evolve. They plan to have several guests come over and the first one is Sir Michael Craig Martin a major Irish born UK artist. Listen to it here. Did you know these 3? Got any more? Featured image: Socrate Sculpture Park – New York, USA. Brighton: Day trip idea from London + a free map! Help me pick my next destination! Get news & access to maps! Don’t miss any new tips for your next travel and get access to all the FREE custom Google MAPS! Come on it is good stuff + I won’t fill up your mailbox. I promise.